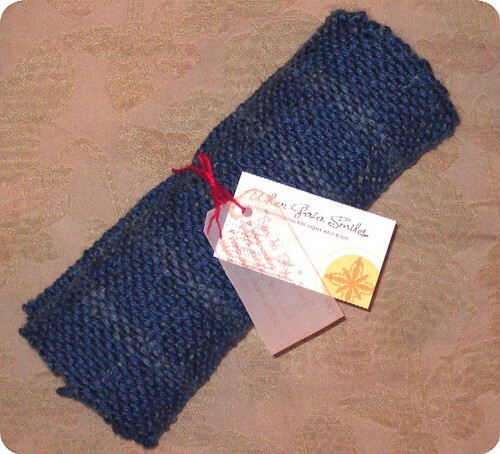 Well, here’s my promised blog regarding the handwoven scarf I made for my lovely coworker Ken. He has some sensitivity to wool, so I off to the yarn store I went to find a synthetic yarn that wouldn’t bother him. 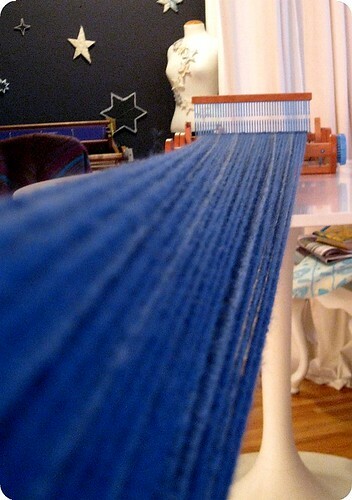 What I ended up buying was a skein of Lion Brand Homespun in Montana Sky and a skein of Vanna’s Choice in Sapphire. Both are acrylic yarns, which I don’t usually tend to knit/weave with, but considering my customer is a motocyclist, I figured something practical that can be washed and doesn’t itch him would be the best. 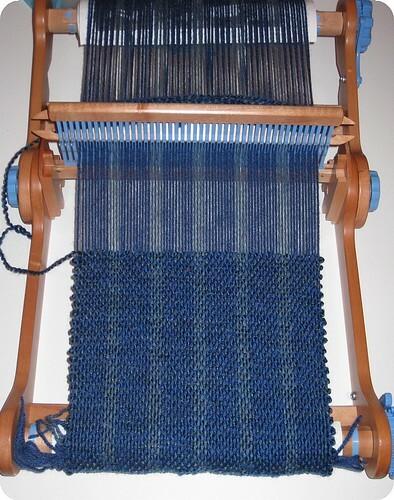 I did however, sneak in a bit of Cascade Eco+ wool yarn as I thought that the warp needed more depth. 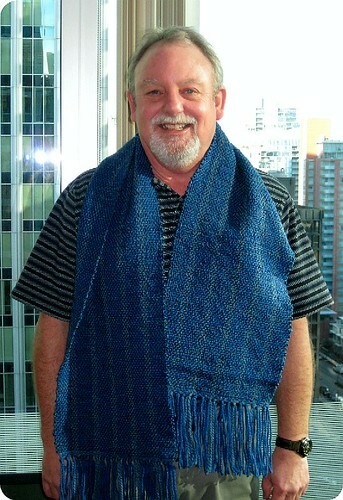 Finally, a photo of the finished scarf on the man himself. Ken has promised me a photo of him wearing the scarf with his motorcycle. 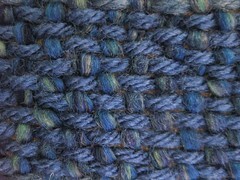 Incidentally, I managed to buy yarns that matched the blue of his bike! 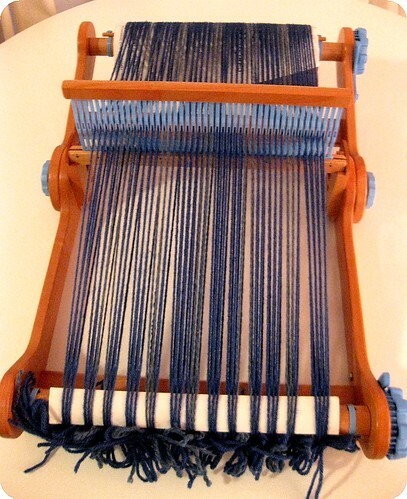 You are currently reading Weaving a scarf – a blog in pictures at When Gaia Smiles.